Throughout the years, countless Mountain Lakes High School Alumni have achieved success in a variety of fields. While many of these individuals developed their careers in traditional industries, some forged new and creative paths. Among the latter is television host Robin Russo (MLHS ‘82). Since graduating from MLHS in 1982, Russo took on an integral role in Nickelodeon’s smash hit television program, Double Dare. 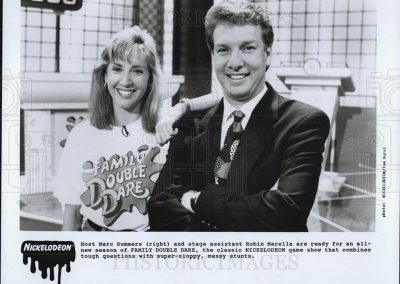 Handling many responsibilities, she worked her way up from production assistant to eventual co-host with television personality Marc Summers. While Double Dare is perhaps best remembered for its usage of green slime, it was also one of the most popular family programs on television during its initial run, which ended in 1993. Currently, the show is undergoing a revival, and Robin Russo is leading the charge. Recently, she sat down with us to tell her story, time in Mountain Lakes, and the future of Double Dare. RR: I moved to Mountain Lakes in 8th grade, in 1977, and at that time 8th grade classrooms were located in the high school. RR: I loved growing up in Mountain Lakes and I had the best high school experience. Many of my friends from Mountain Lakes High School are still some of my closest friends today. I loved growing up around all the lakes and the beautiful Hapgood homes. Mountain Lakes is one of the most beautiful towns in New Jersey. RR: I played soccer, basketball and softball and participated in the GAA program all four years. MLAA: You had a large influence in Nickelodeon’s hit TV program, Double Dare. How did you end up working on the show and what roles did you serve in throughout your time there? RR: Double Dare has been a huge part of my life. A friend of mine, Ann Sundius Rose, was a talent coordinator and she actually introduced me to the show. She is still one of my closest friends to this day. I started out as a production assistant, then the producers asked me to be on-air, and then I was elevated to co-host when we took the show on the road. 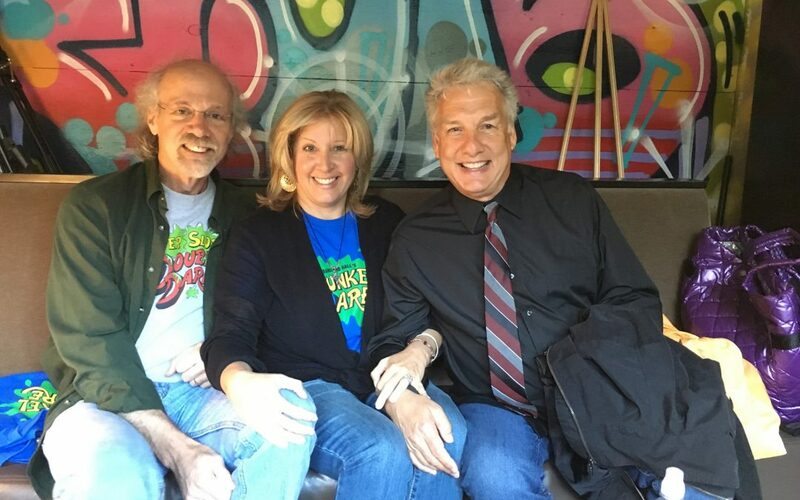 I attribute my growth to the host of the show, Marc Summers, who really had the ability to share the spotlight and make me feel comfortable. Marc is truly one of the best hosts on television and is a true genius with his craft. 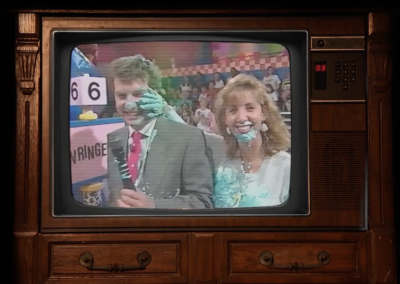 MLAA: During your time on Double Dare, what did you enjoy most about working on the show? What was the most challenging aspect? RR: I enjoyed almost every aspect of working on Double Dare – it was like going to a huge birthday party everyday. Everyone on the set really got along so well and we became friends even when the show was over. I always say, “I had the best job on TV.” The hardest part of the job was the constant clean up of the slime that would find its way to every part of my body. We shot five shows a day and that meant five showers and costume changes. It sounds like it should be easy, but I had green slime in my hair for years and I still gag when I smell whip cream to this day. 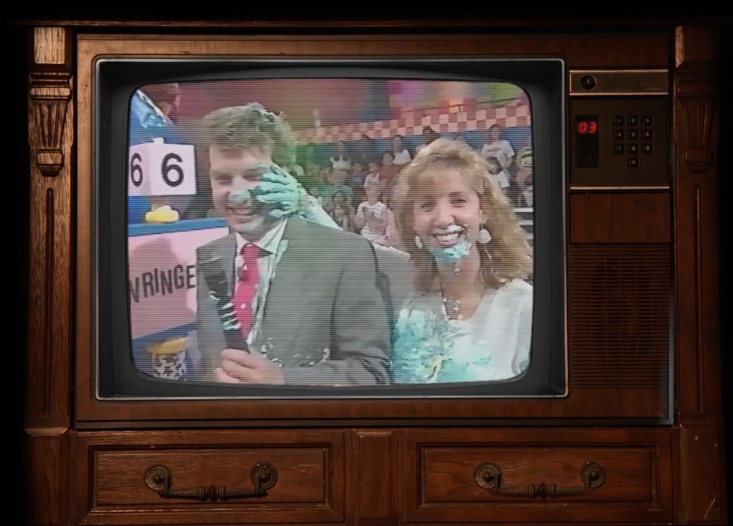 MLAA: How has the television industry changed since Double Dare’s original run? RR: In my opinion, today the television is lacking in ‘family-friendly’ programs and they need to inject more fun programming. 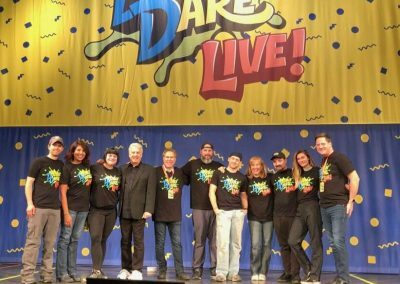 Double Dare was that show; the adults and their kids enjoyed watching TV together and I’d always hear that everyone looked forward to spending that time with each other. We need to have more family shows to share with our children and escape from the day to day woes. MLAA: What can you tell us about the reboot of Double Dare? RR: The Double Dare reboot came about because people wanted to relive the nostalgia of the older popular shows. Initially, the reboot featured Liza Koshy and Marc Summers, and was very successful. Nickelodeon asked me back for the road shows, because of the chemistry that Marc and I had doing the live shows in the past. Liza has been a nice addition to the show, bringing yet another generation to watch the show. We all have a certain place on the show and cheer on each other. We have different phases of this upcoming road show and we are really excited to get back together. It should be a blast. RR: Wow, this is a great question. There are two things that I think have helped me becoming successful. First, be a team player, and second, do something that you love and the money will follow. Being successful has many different faces; some of the most successful people I know are teachers, nurses, firefighters and policemen and women. One common thread is that they are all very passionate about their jobs. RR: Some of my other hobbies are hiking, having dinners with friends and traveling to see my kids play sports. And I really enjoy spending time at the Jersey shore with my family. Nothing beats the Jersey shore. MLAA: Going forward: Other than the reboot of Double Dare, what is next for Robin Russo? RR: I think what’s next for me is watching my kids go through their college years, spending time traveling, and staying connected to my family and friends. I do enough traveling with Double Dare but I’d like to travel with my family and experience other parts of the country with them. RR: My parents, Jesus, and Michael Jordan. 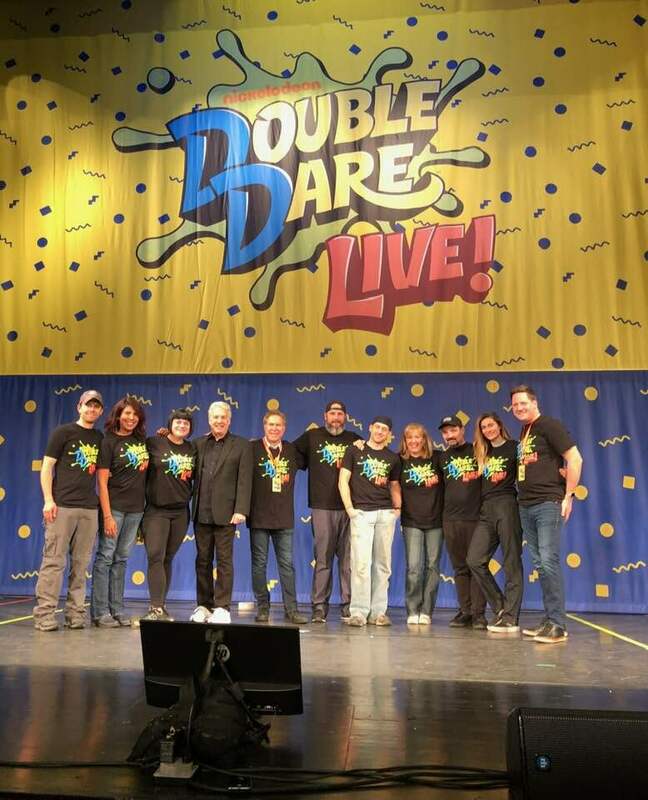 Robin Russo will be appearing live on the Double Dare Live tour which kicks off its second leg in March of 2019. For more information on schedules and tickets, please visit https://doubledarelivetour.com. Who Should Be Our Next Laker in the Spotlight? Why should this Lake be in the spotlight?